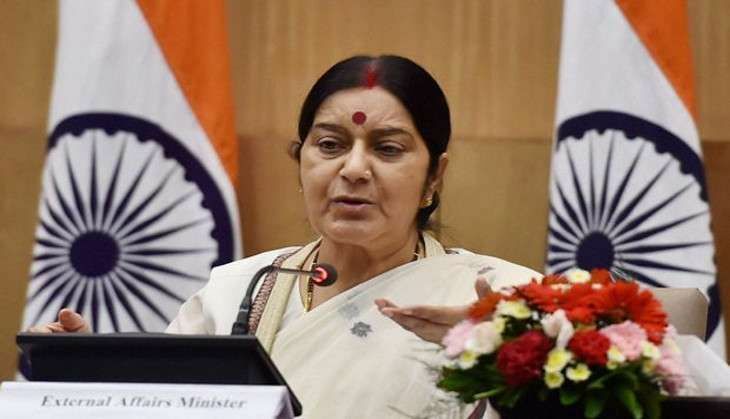 External Affairs Minsiter (EAM) Sushma Swaraj has assured help to a Pakistani girl who is struggling to get admission into a Delhi school. The girl Madhu and her family met Swaraj last evening and expressed hope of getting admission with her help. Following the meeting, Madhu said that Swaraj had spoken to Delhi Chief Minister Arvind Kejriwal regarding her admission, adding she is now extremely hopeful about the same. "She assured me of admission. I hope she helps in my admission. She has spoken to Kejriwal ji. I will get admission on 12 September. I was not getting admission because I don't have Aadhar Card as I am a Pakistani," Madhu said. "I have come here to get my sister admitted in a school. We sought help from madam (Sushma). I hope my sister will now get admission," Madhu's brother Lakhvir said. According to reports, Madhu had come to India with her mother, siblings, her uncle and cousins two years ago after they fled religious persecution in Pakistan's Punjab. However, this isn't the first time this year that Swaraj has personally intervened to help a Pakistani Hindu immigrant in distress. In May, Swaraj helped 17-year old Mashal Maheshwari - another refugee from religious persecution - gain admission into a medical college after watching her interview on television.